Copper is a non-ferrous metal, and valued as the best non-precious metal conductor of electricity. The only metal with better conductive properties is silver. Copper holds as much as 90 percent of new copper value, and as such it is one of the basic targets for many scrap metal collectors. What is the difference between #1, #2, and #3 Copper? #1 copper has bare bright wire, #1 copper tubing, #2 copper tubing/wire and #3 roofing copper. To see more information visit the Non-Ferrous metals page. When Cash for Trash classifies different grades of copper it is based on the cleanliness of the material. If you have #1 copper wire or tubing, it will be free of brass fittings, insulation, paint, rubber, solder, and any other materials. It will be a clean copper price. #2 copper tubing: usually these pieces of copper pipe will have small brass fittings, solder, paint, oil, or rubber attached to the copper. Because of those other materials the copper is worth less money because it is more difficult to process the metals during the recycling process. If you come across roofing copper or gutters from a home that have been used, there is often times a large quantity of tar and adhesive attached to the copper. To help attach the material to homes or buildings, these contaminants cause the price to be lower for #3 roofing copper. Copper has been in use by civilization for over 10,000 years and has been recycled since early times. Because it does not degrade during recycling, copper in use today could have been first fabricated into objects thousands of years ago. 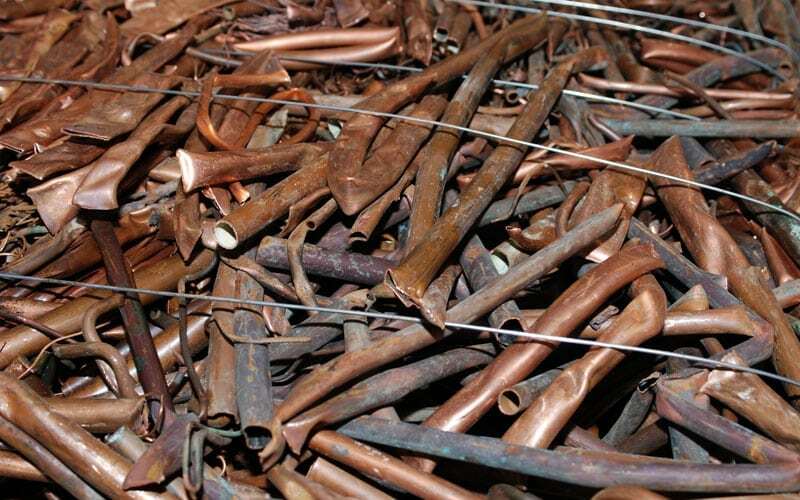 Copper is highly prized by scrap metal collectors and scrap metal recycling businesses.